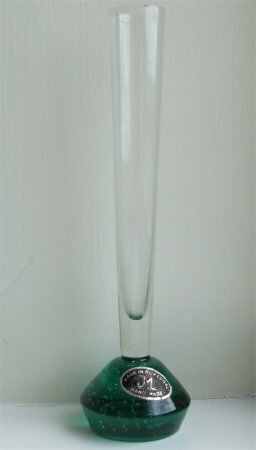 This vase is approximately 207mm (8 3/16ths") tall. 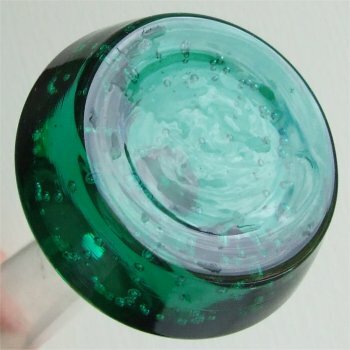 The base has small vertical bubbles graduating to tiny towards the top and sharply sloping shoulders which then slant back inwards to the bottom. The bottom of the base has an outer ring and creased finish. The stem is clear, and has a medium flare of approximately 28mm (1 1/8ths of an inch) across the top. 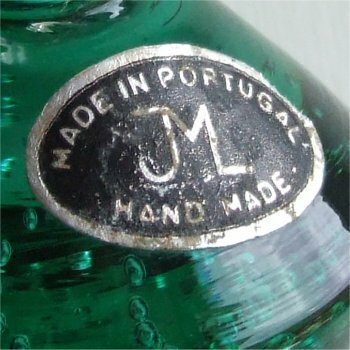 The label is black with silver writing which states "JML MADE IN PORTUGAL HAND MADE" (see images below). Below are two other vases in amber and turquoise, without labels, but almost certainly made in Portugal, if not for JML. 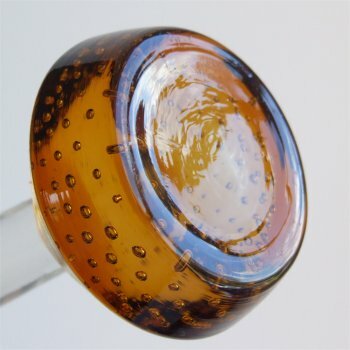 The amber vase has the same dimensions as the green vase, with the same finish on the bottom of the base, and a similar bubble pattern. 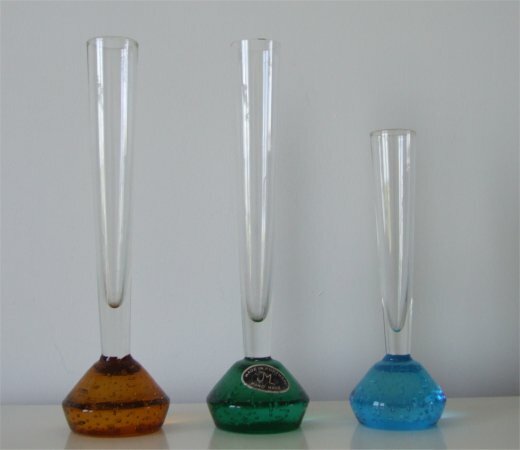 The turquoise vase is approximately 210mm (6 1/4 inches) tall . 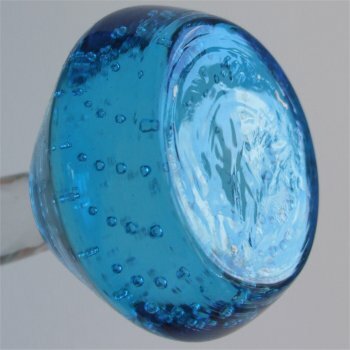 The stem is clear with a medium flare and measures approximately 25mm ( 1 inch in diameter). The bottom of the base has a slightly less defined outer ring but the same creased finish and a similar bubble pattern (see images below).